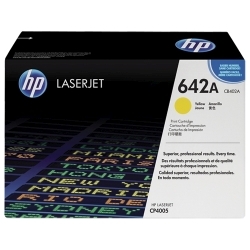 HP CP4500n Color LJ Yellow Toner Cart. 7.5K Yield (CB402A) : Disk-O-Tape, Inc.
Fast, easy, brilliant results. The HP CB402A ColorSphere toner is tuned with the printing system to optimize quality and reliability. When hassle-free, photo-quality printing is this easy, you're more productive and that's real value. With a unique toner particle design, HP ColorSphere toner accomplishes uniform, high gloss. Gloss enables a dynamic range of bright, brilliant colors. The result is bold graphics and realistic images that enable photo-quality business printing. HP ColorSphere toner produces a fine range of colors. To ensure extreme precision in the printing process, HP's color toner uses advanced toner formulation technology. Each toner particle that's produced conforms to an extremely consistent size and shape, allowing the particles to be placed on the page with the precision that's needed to produce a wide range of colors with even the most subtle differences of shade. With this precision, you get high-impact photo-quality business printing. For consistency over the cartridge's life, HP Smart technology in HP supplies and the printer relies on the unique properties of HP ColorSphere toner. As the system triggers adjustments to the electrophotographic voltages inside the toner cartridge, a precise mix of patented additives—fine-tuned for quality results under diverse environmental conditions—ensures consistency. HP supplies and the printer work together to ensure the quality of each print, saving time and providing real value. HP optimizes the interaction between each component of the HP Color LaserJet printing system for the highest-quality, most consistent results. HP's proprietary, five-layer technology in HP Color Laser Glossy Photo Paper locks the color into the coating to achieve high gloss. The result is brighter, more uniform color. Quick, easy, more productive. HP ColorSphere toner enables fast, high-quality printing. HP Smart technology in HP supplies interacts with the printer to consolidate needed supplies into a single order. You choose the reseller and order online.. Documents come off the printer quickly without sacrificing quality. HP ColorSphere toner particles are scientifically developed around a perfectly sized wax core designed to work with HP’s instant-on fusing technology for faster image processing with optimum results. Innovative HP Smart Printing technology makes HP printing supplies easy to replace and reorder. How does it work? HP supplies and your printers exchange information to provide a snapshot of supplies across printers, providing timely status and alerts. The supplies that are needed are then consolidated into a single order. 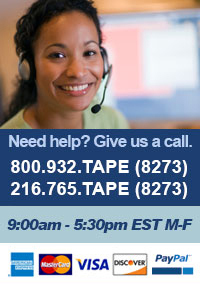 All you do is choose your preferred reseller and place your order online using HP SureSupply. When supplies management is this easy, you have more time to be productive. HP Color LaserJet toner cartridges comprise up to 70% of your printer's imaging system. To make the system easy to use and to ensure legendary HP reliability, our proven all-in-one cartridge is designed for simple operation, incorporating the toner and imaging drum in one supply. HP ColorSphere toner is formulated to enhance this design, to make this critical component even more reliable. The result is consistently sharp black text and rich color. The HP Planet Partners program is an industry-leading, global solution for environmentally responsible recycling of HP toner cartridges available in more than 30 countries worldwide. It’s easy for your business to participate in the HP Planet Partners printing supplies return and recycling program and participation is free. HP makes sure that returned HP toner cartridges receive state-of-the-art, environmentally responsible recycling. For consistency over the cartridge's life, HP Smart technology in HP supplies and the printer relies on the unique properties of HP ColorSphere toner. As the system triggers adjustments to the electrophotographic voltages inside the toner cartridge, a precise mix of patented additives—fine-tuned for quality results under diverse environmental conditions—ensures consistency. HP supplies and the printer work together to ensure the quality of each print, saving time and providing real value. To keep your productivity high, HP designs in reliability to maximize quality and uptime. HP is an industry-leader in R&D, design, manufacturing and testing. In fact, high-level manufacturing and quality control expertise enables HP ColorSphere toner to create a fine range of colors with new levels of consistency in toner particle size and additives. In addition, every HP toner cartridge undergoes rigorous testing including tests under extreme usage and environmental conditions.